Here comes the theatrical trailer of the movie, which is directed by Puri Jagan and aiming a September 1st release. Nandamuri Balakrishna have done 100 Films in his career already but his 101st Movie is shockingly different from any of his past projects. Puri Jagannath is known for Hero Characterizations & he lived up to the high expectations. Audience could see a new Balayya in ‘Paisa Vasool’ and masses will go crazy with his performance. Be it his body language or dialogue delivery or energy levels, Viewers get the impression of watching a paisa vasool entertainer. Balayya plays the role of a Teda Singh who is different in how he deals with things, majorly involving violence, bloodshed, guns, and chases. As a mafia gang picks him up for an operation, Balayya claims that he’s not smuggler but he is a freedom fighter. Featuring Puri Jagan mark all over the trailer, it looks like the movie will have pages and tonnes of such dialogues in the full run of the movie. 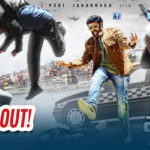 While Balayya’s age is clearly visible, still the way he energetically managed to pull such terrific action and eccentric feats is a highlight. Glimpses of Shriya and Muskaan Sethi are beautiful, while Kyra Dutt is super hot in the item numbers. Productions values of the film are surely top notch, while Anup Rubens did a decent job and cameraman Mukesh also did a superb job. On a whole, this trailer promises a masala treat in theatres.